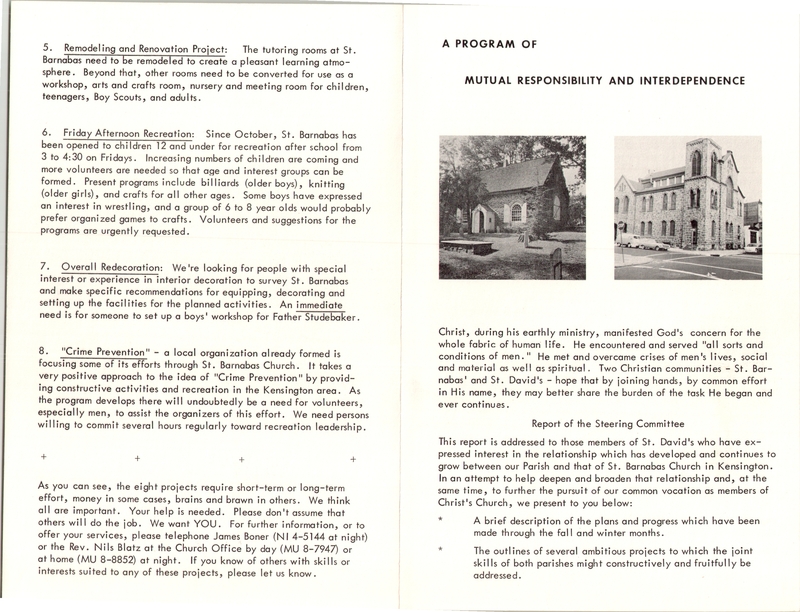 This entry was posted in St. Barnabas Church (Kensington) and tagged Archives of the Diocese of Pennsylvania, Kensington on June 12, 2018 by mjk38. This entry was posted in St. Barnabas Church (Kensington) and tagged Archives of the Diocese of Pennsylvania, Kensington on August 10, 2017 by mjk38. 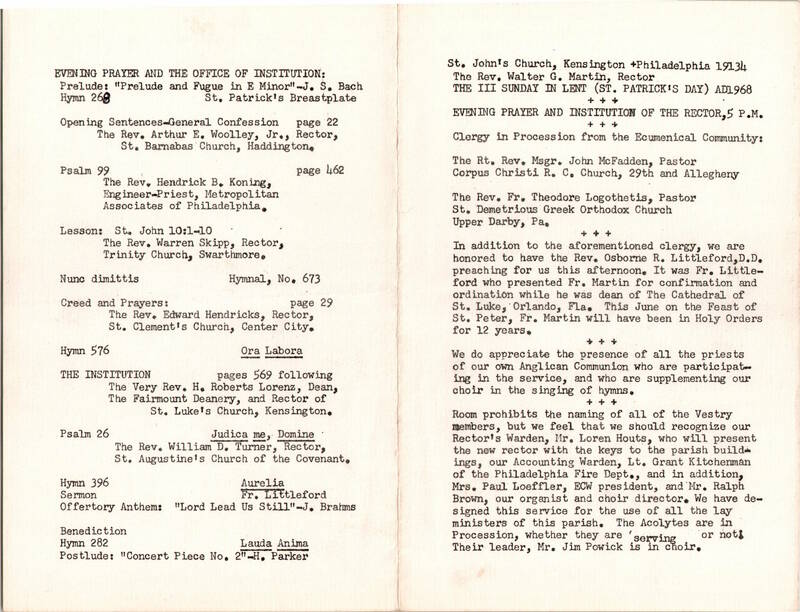 This entry was posted in All Souls Church for the Deaf, Chapel of the Ascension (Rhawnhurst), Chapel of the Transfiguration, St. Ambrose Church (Kensington), St. Andrew's in the Fields Church (Somerton), St. Barnabas Church (Kensington), St. Bartholomew's Church (North Philadelphia), St. Bartholomew's Church (Wissinoming), St. Elisabeth's Church, St. Gabriel's Church (Feltonville), St. George's Chapel (Venango), St. George's Church (Richmond), St. John's Mission (West Oak Lane), St. Titus' Church (Elmwood) and tagged Archives of the Diocese of Pennsylvania, North Philadelphia, South Philadelphia, West Philadelphia on May 29, 2017 by mjk38. This entry was posted in Christ Church and St. Michael's (Germantown), St. Barnabas Church (Kensington), St. Nathanael's Church (Kensington) and tagged Kensington, Philadelphia Inquirer, W. Hamilton Aulenbach, William V. Ischie on May 9, 2017 by mjk38. This entry was posted in St. Barnabas Church (Kensington) and tagged Archives of the Diocese of Pennsylvania, Kensington on April 14, 2017 by mjk38. 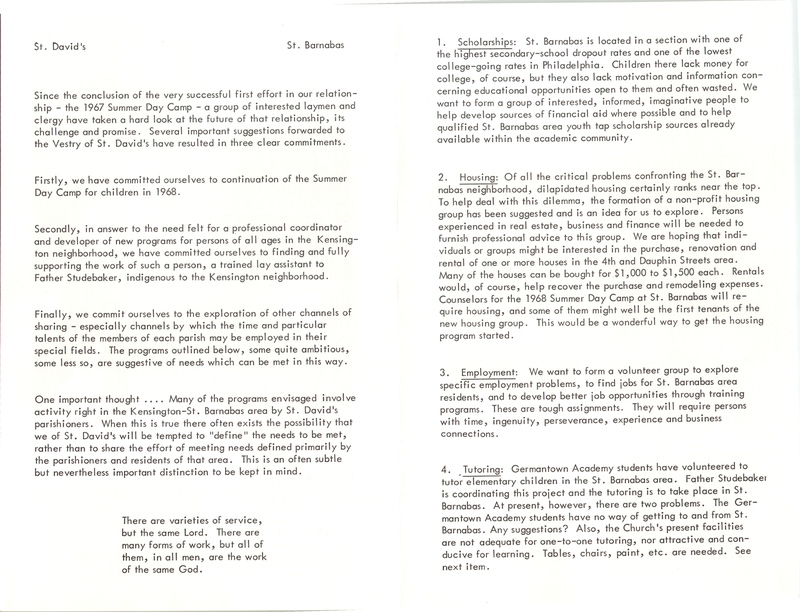 This entry was posted in Free Church of St. John (Kensington), St. Augustine's Church of the Covenant, St. Barnabas Church (Kensington), St. Clement's Church, St. Luke's Church (Kensington) and tagged Arthur E. Woolley Jr., Edward Hendricks, H. Roberts Lorenz, Hendrick B. Koning, Kensington, Walter G. Martin, Warren Skipp, William D. Turner on February 10, 2017 by mjk38. 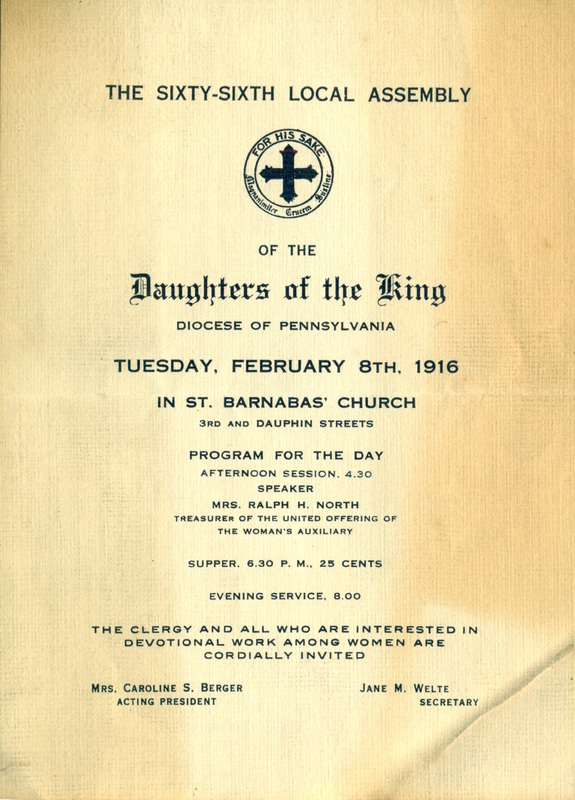 This entry was posted in St. Barnabas Church (Kensington) and tagged Archives of the Diocese of Pennsylvania, Daughters of the King, Kensington on February 10, 2017 by mjk38. This entry was posted in St. Barnabas Church (Kensington) and tagged Archives of the Diocese of Pennsylvania, Kensington, St. David's Church (Radnor) on January 20, 2017 by mjk38. 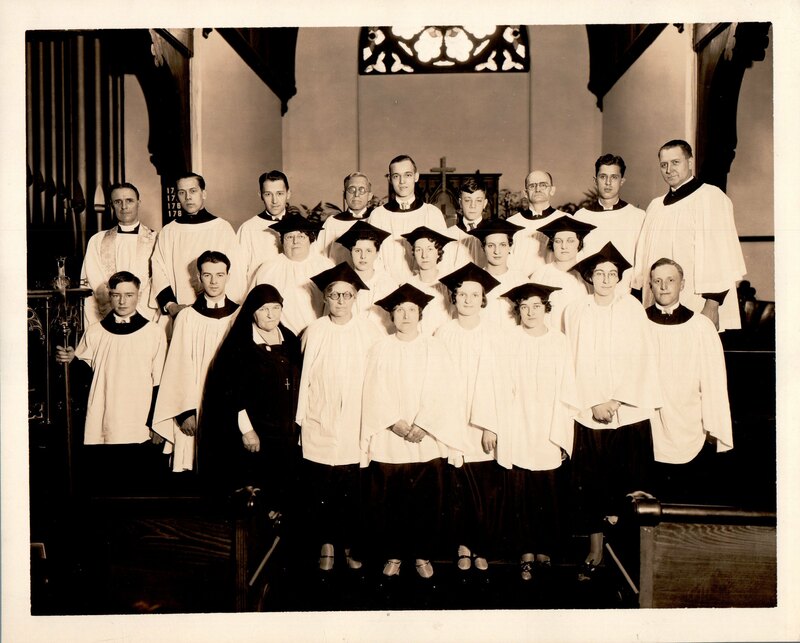 This entry was posted in St. Barnabas Church (Kensington) and tagged Archibald Allen, Archives of the Diocese of Pennsylvania, John N. Studebaker, Kensington on December 12, 2016 by mjk38.